Individualized: Customized for each recipient with a consistent experience and level of personalized knowledge irrespective of the device that is being used. Immediate: Providing responsiveness and self-service opportunities with every interaction. Intelligent: Exhibiting intuition built off past experiences, location data, profiles, etc. Conduent combines deep user insights and best-in-class technologies to create innovation that has an impact. Our customers and employees become key partners in creating, developing, and testing new and unique solutions through a co-innovation process. We believe in creating a strong and effective workforce that delivers value to our customers and the communities that we serve. We celebrate new ideas and our drive for innovation improves the lives of citizens, patients, and employees around the world. We are growing rapidly especially within the Conduent Technology & Product organization. 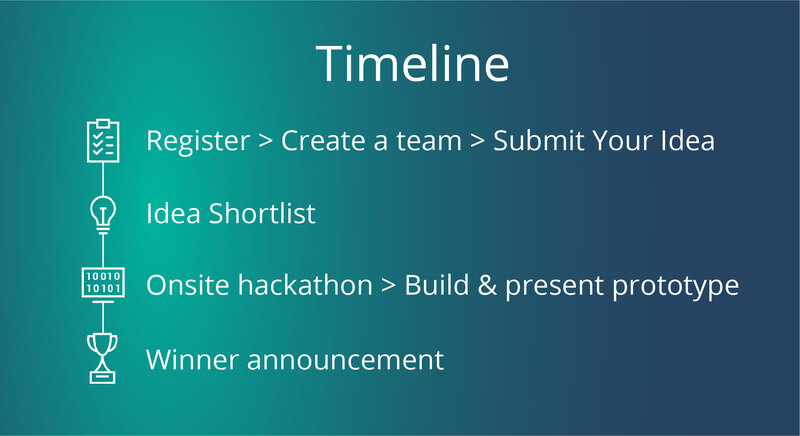 This hackathon is one of the many exciting ways in which we engage with experts, like yourselves, who are looking to contribute to a technology-driven, customer-centric evolution and to possibly join a team that is inspired by developing ‘what’s next’. For example, an apartment-sharing application (e.g., Airbnb) that is being run by a centralized authority could be decentralized with properties guaranteed by blockchain. To bring the vision of a decentralized sharing economy to fruition, there are hurdles to be crossed—including but not limited to—privacy, infrastructure costs, incentive mechanisms, and the user experience to enable its adoption across several domains. The focus of the Conduent Blockchain Hackathon is to build a viable, decentralized application to share assets in the business-to-business (B2B) and consumer-to-consumer (C2C) contexts. Assets can be tangible (e.g., land, vehicles etc.) and intangible (e.g., credit, data, machine learning models, etc.). You can work on any blockchain platform, technology stack, domain, or programming language of your choice. The application that you build will be evaluated on the basis of its novelty and practicality. While ideating about making your application practical, consider incentive structures, payment infrastructure, and user experience with reasonable performance. Behavioral Economics when combined with blockchain can offer immense possibilities. Devise a non-zero sum game implementation on multiple blockchains to nudge citizen participation and interactions toward better social behavior, e.g., incentivizing the crowdsourcing of helpful information, rewarding citizens for better civic behavior etc. A shared economy was generally maintained and controlled by centralized authorities. Blockchain removes this need. Can you devise a methodology and a process-and-payment infrastructure on multiple blockchains to enable a decentralized economy, e.g., a decentralized Airbnb, a decentralized Uber, or a decentralized parking-management system for a city? If smart contracts are embedded in physical objects, the embedded protocols will automatically give access to the rightful owner based on the terms of that contract. The ownership of a property is embedded in the property itself. Can you develop smart properties that will automate ownership and ownership rules that are executed and stored on blockchain? How can blockchain help make transactions with Government bodies transparent in order to increase the efficiency of the services that they provide? Can you come up with implementations of blockchain in the Government sector that would enable a targeted (based on digital identity) delivery of services in an efficient manner? Delegating one’s vote to others who are perceived as Subject Matter Experts (SMEs). The delegation itself will be a signed transaction and the SME can then vote on behalf of the delegators as a multi-vote which would require a transaction that contains multiple signatures (i.e. the “signatures” of all the delegators). The idea itself is not new—this happens in all representative democracies. We elect leaders to represent us—we actually don’t get to vote on issues in our state governments or union government. In a representative democracy there is no guarantee that our representatives do everything in our interest. The same could be said about delegating one’s vote. The only thing blockchain will ensure is that one’s delegate is voted on one’s behalf. There is no guarantee that one's interests are furthered or even protected. Having said that, you can be sure that your delegate voted on your behalf. The outcome is not guaranteed but the process is safe.